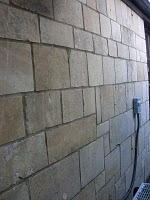 EATOILS™ BT200™ cleaned this Austin Stone sided house located in Houston, TX. Clean and Green Solutions LLC, the Houston, TX based distributor for EATOILS™ cleaning products was called to this home to provide an estimate to clean the Austin Stone siding on the exterior of the house. Betsie Weathorford called Clean and Green Solutions LLC after seeing their website. Ms. Weatherford was impressed with the web site and the fact that they only use the EATOILS™ brand of GREENER-CHOICE™ APPROVED GREEN Cleaning Products. 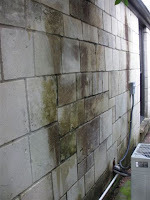 Several areas of the home were badly stained with Mold and Mildew as you see in the first picture (Before) above. Ms. Weatherford did NOT want to hire a company that would use dangerous, toxic chemicals or bleach to remove the stains from her home. Clean and Green Solutions LLC used EATOILS™ products and did the job without harmful chemicals and the customer's wishes were satisfied. The results of the cleaning with EATOILS™ are in the second picture (After) above. Here is how they did it: They mixed the EATOILS™ BT200™ at 4 ounces to a gallon of warm water. Using a pump-up 'garden type' sprayer they applied the BT200™ solution to the stains and brushed the solution into the stone, using a street broom. They waited approximatley 20-30 minutes and rinsed the stains off using a power washer at very low pressure (100 - 200 psi). 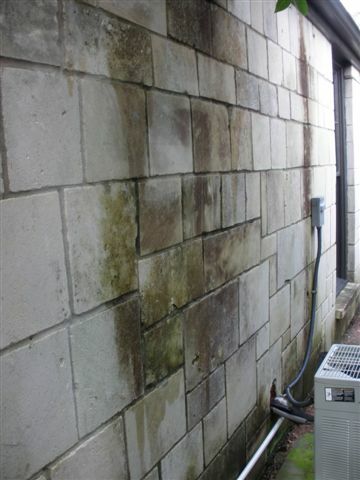 Occasionally, the staining can be deeper and require multiple applications to get complete stain removal. The longer you allow the product to dwell on the surface before rinsing, the more contamination will be removed. Ms. Weatherford was extremely happy with the results and she enjoyed the peace of mind that her home was not cleaned with dangerous chemicals.